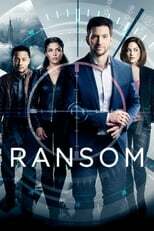 List of the latest Canadian TV series in 2019 on tv and the best Canadian TV series of 2018 & the 2010's. Top Canadian TV series to watch on Netflix, Hulu, Amazon Prime & other Streaming services, out on DVD/Blu-ray or on tv right now. Canada in the early 80's. AIDS was emerging out of nowhere and thousands of people were unnecessarily infected due to tainted blood. A string of unexplained and mysterious deaths is haunting Toronto. Detective Jenny Cooper, a newly-widowed single mother, is put on the job, but she has some secrets of her own. Two Canadian brothers reunite with their estranged father whom they have not seen for 30 years. In this mystery comedy odd things keep happening in their hometown. 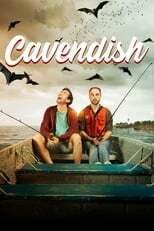 2018, 2017 & the 2010's best rated Canadian TV series out on DVD, Bluray or streaming on VOD (Netflix, Amazon Prime & Hulu). 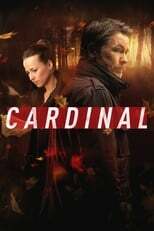 A crime mini series from Canada about detectives investigating the murder of a young girl. It's an adaptation of the mystery novel Forty Words of Sorrow by Giles Blunt. 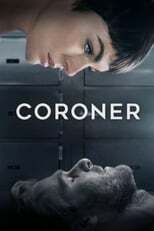 A medical drama in which an ER doctor secretly helps the terminally ill to end their own lives in a respectful manner. When in a small Canadian town a transgender teen goes missing, a detective played by Anna Paquin is on the case. It brings her in a tough spot, as she must also investigate and suspect people she has known her whole life. A show based on the experience of a real-life negotiator who together with his partner travel around the globe helping organizations and companies to resolve complex conflicts. Including crime cases. Pretty suspenseful stuff so far. The viking Ragnar Lothbrok aims to conquer new territories in the West, but his chief wants to continue their travels to the familiar East. The tension between the two vikings rises, and culminates into a fierce battle. 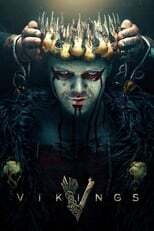 Very nice show for people who are into fantasy, blood en brave Scandinavian seafaring warriors. The crazy adventures of three trailer park residents who try to get rich taking fruitless shortcuts. 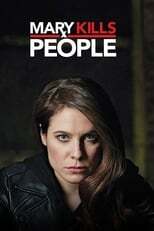 Olivia Dunham is a FBI special agent with a complicated task: she needs to look into weird stuff, together with a scientist, his son and a junior FBI agent . Whilst doing so, they come across connections to their own lives and a parallel universe. Yes, that sounds like The X-files, but The Fringe clearly found it's own voice. Very recommendable. A young and streetwise woman witnesses the suicide of a girl that looks just like her. She then discovers that she’s been cloned, that she has many other clones spread throughout the world and that someone wants her dead. Naturally, malicious organizations and mystic key figures come across her long and surprising journey. Three freshmen fight the battles that need to be fought entering Blue Mountain State - a place for football and girls. If there’s one show that put Canada back on the map of television series, it must be Orphan Black (2013) – a rightful hit. Also, the warrior stories in Vikings (2013) hail from Canada, representing its relevance. Below, an overview of the best recents shows from the land of woods, snow and people who may talk French.